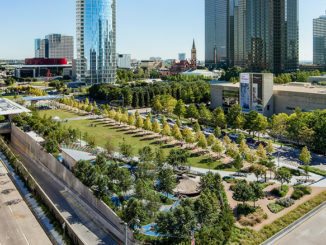 Transportation infrastructure is a significant component of the public realm, but we can do better than build yet another car-centric landscape, according to a new guide on transportation launched recently by the American Society of Landscape Architects (ASLA). 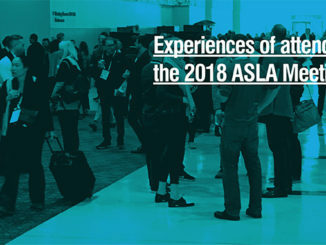 The ASLA guide provides in-depth solutions and case studies to help communities create transportation systems that foster safe, equitable and resilient ways of getting around. Active: A lifestyle organized around human-powered transportation choices such as walking and biking is healthy. A 2016 report found that walkable, transit-oriented communities increased physical fitness and mental health. Residents of such communities were also more likely to meet or exceed daily physical activity recommendations. Landscape architects encourage active transportation by designing safe, pleasant routes for walking and biking.Safe: The World Resources Institute estimates that more than 1 million lives could be saved annually from wider adoption of traffic calming measures such as lower speed limits, reduced lane widths, and protected medians. Landscape architects design for safety and help cities eliminate serious injuries and fatalities on roadways. The sustainable transportation guide was shaped by an expert advisory panel, including Diane Jones Allen, D. Eng, ASLA, PLA, associate professor and program director of landscape architecture, University of Texas, Arlington, and principal, DesignJones LLC; Jean Senechal Biggs, ASLA, senior project manager, DKS Associates; and Robert Loftis, PLA, ASLA, associate landscape architect, MRWM Landscape Architects.